Şehlem has graduated from Communication Faculty. In her undergraduate years, she was interested in gender studies, critical media studies and took undergraduate courses in these fields. She enrolled in the Master’s Program in Radio, TV and Cinema Studies. During her master’s education she became interested in the representation of the female body and Michael Foucault’s theories on the body. She participated in several photography exhibitions . Her latest project “One Day: After Work” was supported by the Danish Government Cultural Scholarship, FREIA (Feminist Research Centre in Aalborg University) and EDGE (Centre for Equality, Diversity, Gender), she opened her first exhibition in Women’s Museum in Denmark, Aarhus. She was a member of a feminist organization named AMARGI in Istanbul. She is a board member of Association for Struggle Against Sexual Violence Turkey . She is a founding member of Kluge Women Art Colllective. Currently she pursues her PhD degree at Istanbul Bilgi University. She is now in University of Helsinki as a visiting scholar. Subsidiary areas of study: photography, women photographers, war, feminism, gender. Thesis: “Representation of Body in Turkish cinema after 1990”. -BA , Ege University Izmir, Turkey, Communication Faculty . Dominique Ingres’s “Turkish Bath”, with Seda Ağırbas; The 21st Century Women, Change and Empowerment, Dokuz Eylül Üniversitesi Fen-Edebiyat Fakültesi Publications, İzmir,2010. A Semiological Reading: The Weeping Meadow, International Dimensions of Mass Media Research, Edited by Yorgo Pasadeos, First Published in 2007, Athens, Greece. “Bunlarrr”, Gezi Park Special Issue, with Dilara Kızıldağ, Amargi Feminist Magazine , Issue 30, Istanbul , 2013. “A Way of Opposition: The Women’s Museum Istanbul”, Amargi Feminist Magazine , Issue 27, Istanbul , 2012. The Use Of Woman Body As a Means Of Marketing Communication: Body Representations In Two Local Newspapers With High Circulations In Izmir Province, with Beril Akıncı Vural and Mikail Bat, International Marketing Communication Symposium/ MARCOM, Ege University Faculty of Communication, 2009, Izmir. Korean War Photographs of Semiha Es (1950-1953), Semiha Es Women Photographers International Symposium, 2013. Images of Women in Photography, ODTU Photography Festival, Ankara, 2014. 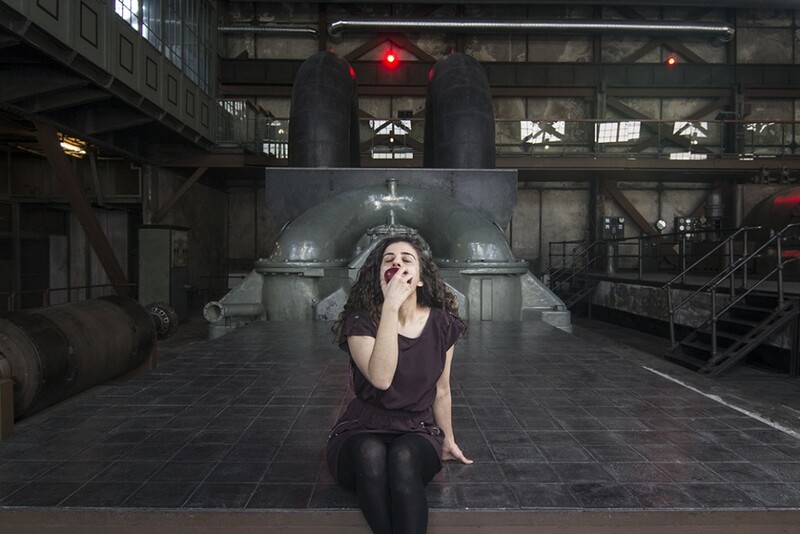 Images of Women in Photography and Women Photographers’ Self Portraits , Bursa Photography Festival , Bursa, 2014.